The United Kingdom will leave the European Union on 29 March 2019 and begin to chart a new course in the world. To fulfil that mission, the Government is advancing a detailed proposal for a principled and practical Brexit. This proposal underpins the vision set out by the Prime Minister at Lancaster House, in Florence, at Mansion House and in Munich, and in doing so addresses questions raised by the EU in the intervening months – explaining how the relationship would work, what benefits it would deliver for both sides, and why it would respect the sovereignty of the UK as well as the autonomy of the EU. 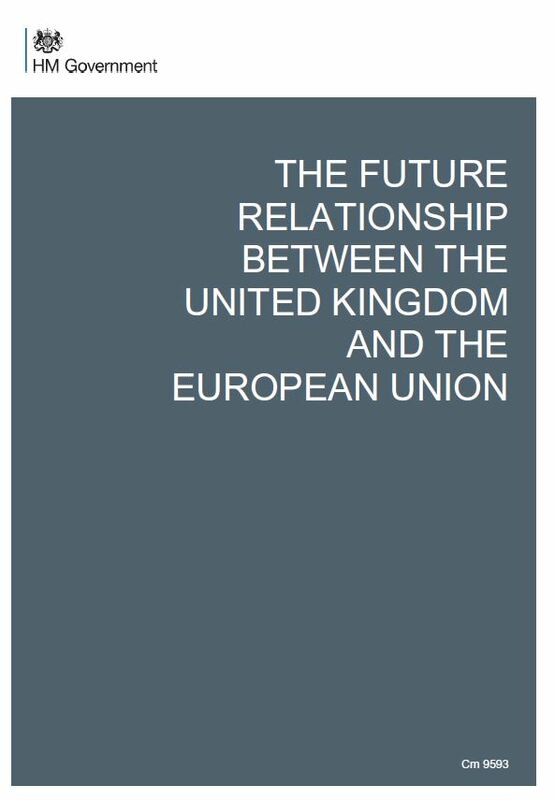 At its core, it is a package that strikes a new and fair balance of rights and obligations.One that the Government hopes will yield a redoubling of effort in the negotiations, as the UK and the EU work together to develop and agree the framework for the future relationship this autumn. A principled Brexit means respecting the result of the referendum and the decision of the UK public to take back control of the UK’s laws, borders and money – and doing so in a way that supports the Government’s wider objectives across five key areas of the UK’s national life. For the economy, developing a broad and deep economic relationship with the EU that maximises future prosperity in line with the modern Industrial Strategy and minimises disruption to trade between the UK and the EU, protecting jobs and livelihoods – at the same time making the most of trading opportunities around the world. For communities, addressing specific concerns voiced in the referendum by ending free movement and putting in place a new immigration system, introducing new independent policies to support farming and fishing communities, using the Shared Prosperity Fund to spark a new wave of regeneration in the UK’s towns and cities, and keeping citizens safe.